Quintessential festive flavors of caramelized chestnuts and subtle holiday spices mingle with our seriously smooth, subtly sweet Starbucks® Blonde Espresso, milk and ice. 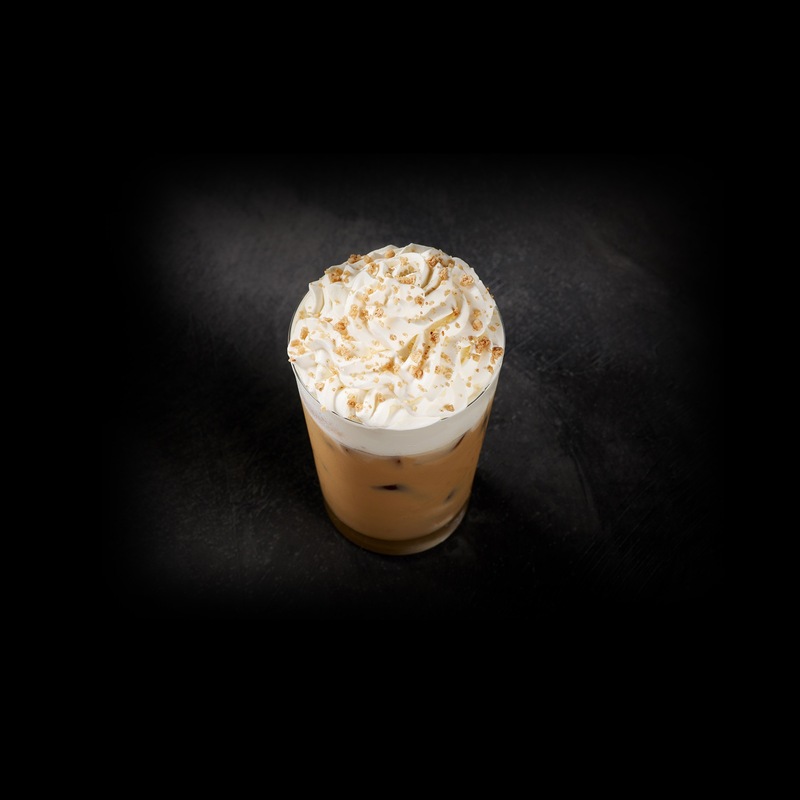 Topped with whipped cream and a sprinkle of spiced praline crumbs. Ice, Milk, Brewed Espresso, Chestnut Praline Syrup [Sugar, Water, Natural Flavor, Citric Acid, Potassium Sorbate], Whipped Cream [Cream (Cream, Mono And Diglycerides, Carageenan), Vanilla Syrup (Sugar, Water, Natural Flavors, Potassium Sorbate, Citric Acid)], Chestnut Praline Topping [Spiced Sugar (Cane Sugar, Cinnamon, Ginger, Clove), Toffee Sugar (Cane Sugar, Vegetable Colors [Pumpkin, Apple, Purple Carrot, Hibiscus], Natural Flavors, Salt, Annatto, Baking Soda)].